Presenting the revolutionary way of cooking delicious, gourmet, healthy and hassle-free food in the 21st century! Enjoy a Healthier Alternative to Daily Cooking. 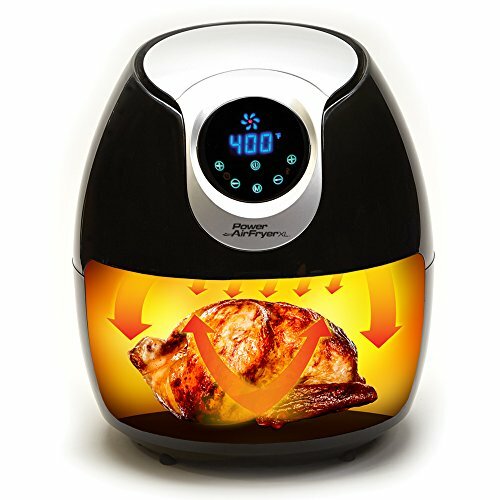 The Rapid Hot Air Technology enables the Power AirFryer to surround food with a whirlwind of turbo cyclonic air to deliver a healthier version of the same food with great crispy fried taste & texture you love. Feel like a professional chef in the kitchen. 6. Steam vegetables or seafood to perfection! 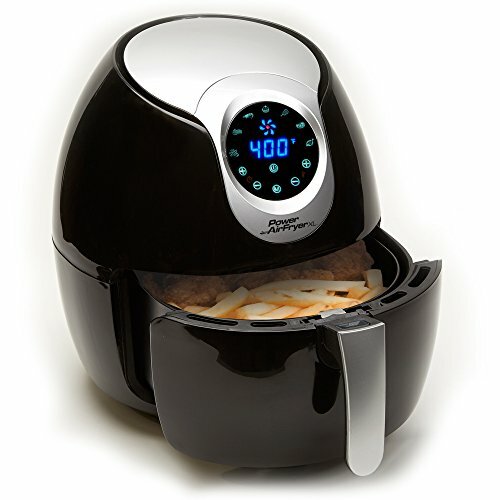 In the 5.3 QT Air Fryer XL Deluxe you also get a Baking insert, Pizza Pan and Cooking Tongs. Boost your cooking with more productivity in the kitchen – hassle-free! Better looking and tasting food – every time! 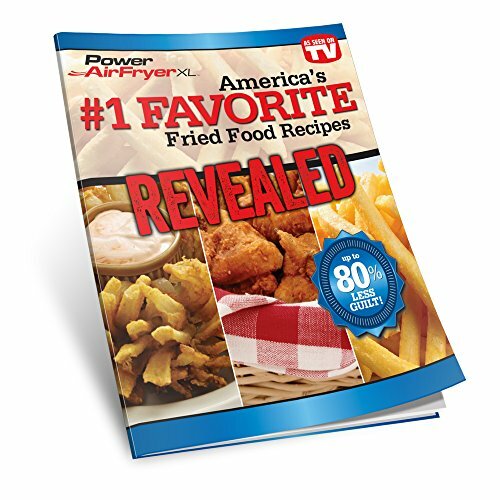 Enjoy your favorite fried foods without any of the added fat, giving you up to 80% less calories than traditional frying. 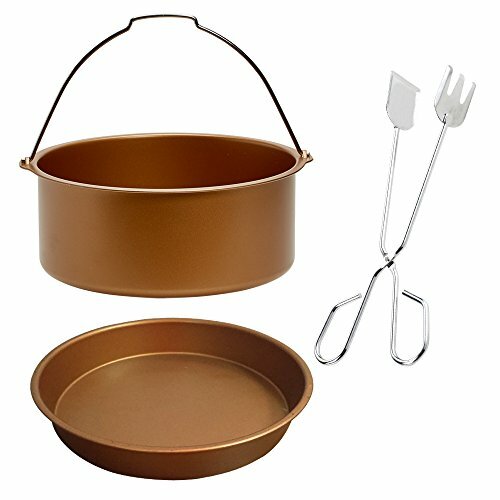 Make cooking a real pleasure and satisfaction while saving time and effort. Mouthwatering, gourmet-style cooking with minimum effort – at your fingertips! 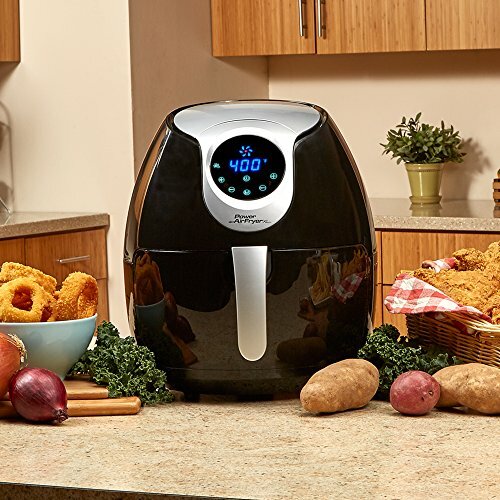 So… Why wait?EFFORTLESS COOKING: Our 5.3QT Power Air-Fryer comes in handy in preparing amazing meals from your cookbook, and frying a variety of dishes, such as: French fries, chicken, steak, roasts, fish tacos and sticks, waffle fries, pies, pudding and donuts. 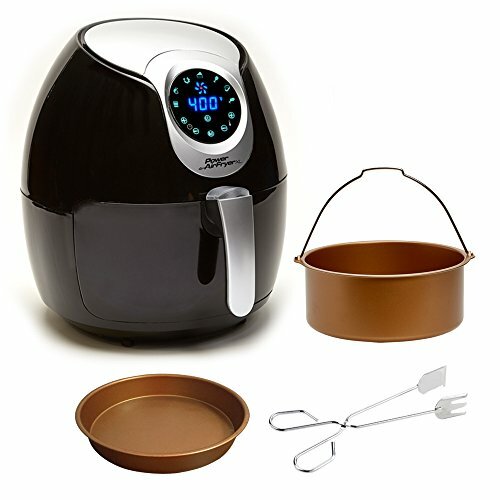 Make yourself feel like a professional chef in your kitchen with the digital airfryer that can easily replace baking pans, deep fryers, a grill pan, convection toaster oven or any one of your kitchen appliances.